Faber-Castell E-Motion ballpoint pen and pencil set from recent years. Pearwood barrel with black ends and a chrome plated clip. Beautiful, heavy set. Near mint condition. 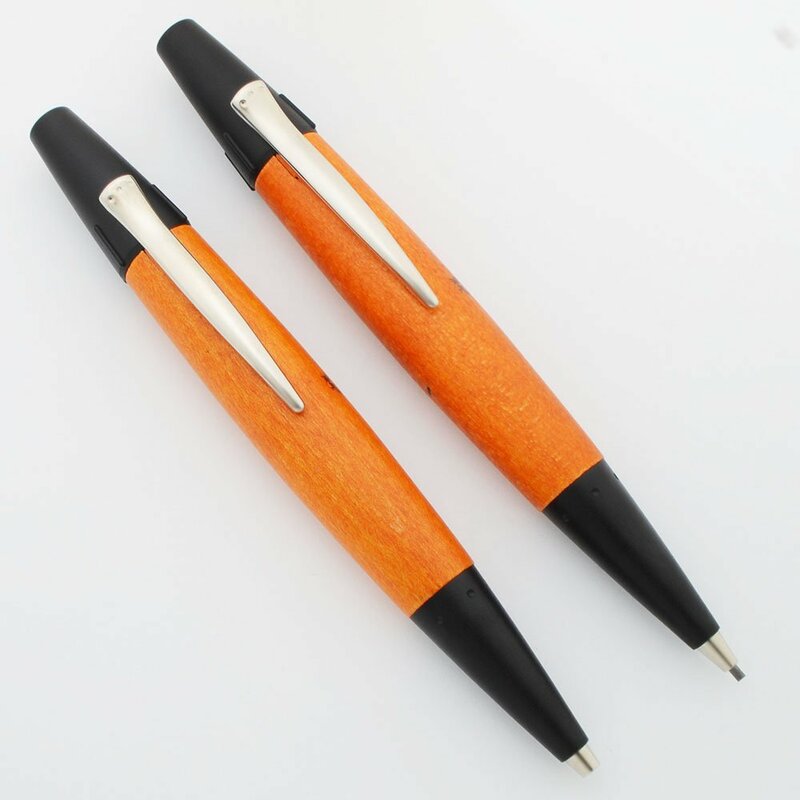 Type Modern ballpoint pen and pencil set. Product Name Part of the "E-motion" series. 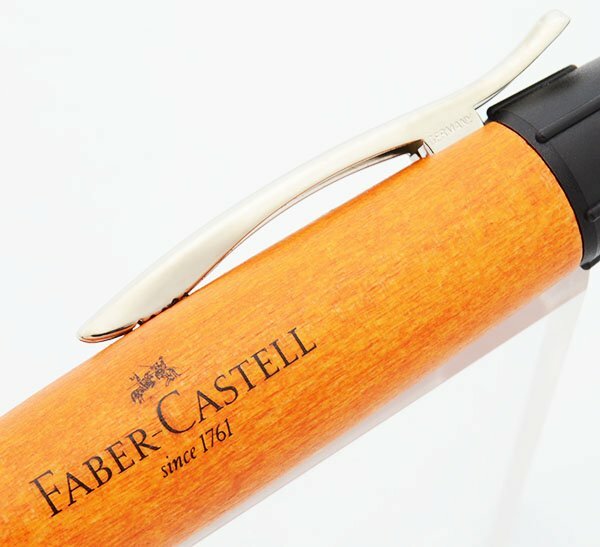 Manufacturer and Year Faber-Castell, Germany -- made in the last few years, though this color combintation is no longer sold. Filling System Pen takes Faber-Castell style ballpoint refills (Parker compatible). A working one is installed. You twist the black piece above the clip to extend and retract the refill. Pencil takes 1.4mm leads. Color Light reddish Pearwood barrel with black plastic ends and a chrome plated clip. Condition Near mint condition, hardly a spot of wear. Working perfectly.